Who Has the Best Sweet Tea in the South? Nothing, nothing, absolutely nothing refreshes on a warm spring day or a muggy hut summer day like a cool glass of sweet iced tea. “Here”, the waiter told me, handing me some sugar. Later I tried at another restaurant …. and got something very fruity. The south is known for our ice-cold sweet as molasses iced tea. So I want to try something here. 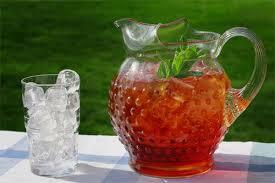 What is the best place to get sweet iced tea in the south? Leave me a comment here, email me, or send me a message on facebook with your favorite place to get sweet iced tea. Later this month I will put out a survey where you can pick which restaurant in the south has the best sweet iced tea. 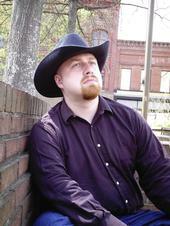 Hear and see progressive redneck sermons! I mentioned I am a progressive redneck preacher. My wife, Katharine, and I are both preachers who serve in the Progressive Christian Alliance. How do progressive rednecks preach? Well if you are interested, please feel free to check out some of my sermons. 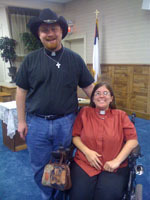 Some of my sermon manuscripts and also recordings of sermons are available at http://diversityinfaith.webs.com/apps/blog/ , which is the website for our current church, Diversity in Faith: A Christian Church For All People. Also I am working with some other progressive preachers in our association to start posting some how-to videos for others called to be progressive preachers. This Sunday I had a real moving conversation with David Gibson, the choir director of our church. We were discussing during my sermon people who influenced our faith. He shared how his grandmother is part of why he is a Christian who loves the Lord today. Hearing David share about how the faith of his grandmother shaped him got me thinking. The power of grandmothers in our lives is something we often don’t take time enough time to reflect on. Most of my grandparents died when I was too young to remember them, but one of my grandparents, Myrtie Mclamb Barefoot, left a lasting impact on me. In fact, in looking back, I realize she is part of why I am a progressive Christian too. Thanks to her I am today a progressive redneck preacher. My earliest memory of Grandma Myrtie (or Ma Barefoot, as we all called her) is the taste of caramel. Before her stroke, whenever we would visit her at her old country home in Blackman’s Crossroads her soft, strong wrinkled hands would greet us with a pat on the head, a hug and then an old fashioned caramel chew. I can still remember the comfort I felt with the taste of caramel in my mouth and those wizened arms holding me tight. I think that will always be for me what safety and love feels like. Grandma Myrtie had a grand old house with the sort of porch you could imagine someone sitting at for hours, looking out over waves of tobacco fields, while sipping cold sweet iced tea for hours. Though farming was long over for her, behind her home was a large tobacco barn. I can remember climbing into it and running through it with a cousin while playing a game of hide and seek on one visit. A little after her husband, Grandpa Charles, died, Ma Barefoot moved into our house. Approaching her 90s this grand old lady no longer could easily care for herself. A stroke, the loss of her husband, and just the frailty of her many years took a toll on her. So Ma Barefoot moved into our three story home in the city and lived with us until my early teens, when her health became so bad she had to be placed into a nursing facility. Even though she had moved out of the family farmhouse, Ma Barefoot continued to be a southern belle. I remember her crisp, exact speech. Unlike grandpa Charles she was well educated – a school teacher – and just like she did with her charges, so she encouraged us to use good English and clear speech. I can still here her rich cultivated southern accent as she spoke to me, always telling me something aimed at educating me and whetting a desire to learn. One day, probably around the age of five or six, I had taken Ma Barefoot’s hand and walked with her around our little suburban neighborhood of green manicured lawns, so different from the rolling fields of Johnston County, as she began a history lesson. “You know, this city where you live, Micah, it almost became the capitol. 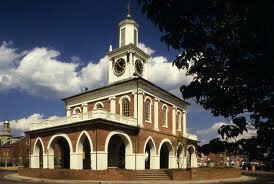 Back in the days of the revolutionary war, it is here they signed the bill of rights,” Ma Barefoot began. I walked, awestruck and jaw agape, in wonder at the wisdom of her years, as she began to tell me the story of Fayetteville where I lived and the great state in which I had been born. I did not understand as I do now that Ma Barefoot meant the capitol of our state, North Carolina. So visions of Ronald Reagan (the only president I have ever known at that tender age) getting sworn in at our market house building. The many talks Ma Barefoot had with me like this, helping create in me a love of learning. The fact that she was a woman of strong faith also impressed me. Throughout her life she always spoke with honesty and compassion. I never remember her saying a harsh or hateful word about anyone. I still remember how, as a fervent Missionary Baptist, Ma Barefoot would always have daddy drop her off at a local Baptist church (we attended somewhere else) to take time for her beloved Jesus. Also I recall how, when she was later living at the nursing home due to poor health, she would end each day praying every night for each of us and asking “Lord let me see another day to be here for my children and grand-children”. Ultimately one night she ended her prayer “Lord take me home”. That next day she had congested heart failure and died. I have always known on some level that moment did not end her life but ushered her into a new and more vibrant life in the presence of God. Following that day there have been moments I have sensed this so strongly it has sometimes been as if Grandma Myrtie was standing right beside me again. I remember one point, after a turning point in my life. I had moved from the restrictive sort of ministry I had grown up in – where women, gays, and a long list of other folks were given second class place in the church because of the denomination who ordained me holding onto some of the slave-holder Christianity I spoke about last blog. I had left that type of ministry and begun the sort of ministry I do now which is welcoming of all. I had experience a lot of rejection and loss by former friends and colleagues who felt I was abandoning my values and my Christianity by welcoming gay and lesbian couples into the church. It hurt. My family members didn’t understand what I was doing, and in many ways I felt very alone, cut off. Those who grew up in the south where we prize family so much know how painful that can be. I remember waking up one night, sitting bolt upright. I had a dream more vivid than real life where I walking down a winding country path and ran into Grandma Myrtie again – but strong and healthy like I’d never seen her. She wrapped her arms around me and said “I am proud of you, Micah, for what you are doing. You are doing the Lord’s work and he will take care of you”. When I woke from the dream I felt the strong presence of her there with me, and knew in some way she was still looking down from heaven and praying for me, rooting me on, in my journey of faith. With the words “I am proud of you in my ears”, still feeling those loving arms around me, tears of gratitude poured down my face. I have thought many time about that dream since, though I’ve only shared about it with a few people. The dream reminds me not just of the fact Grandma Myrtie continues to live in a fullness of life with God I can only begin to imagine. It also reminds me that is one of the gifts she gave me was how through her I found the way toward my progressive Christian faith. 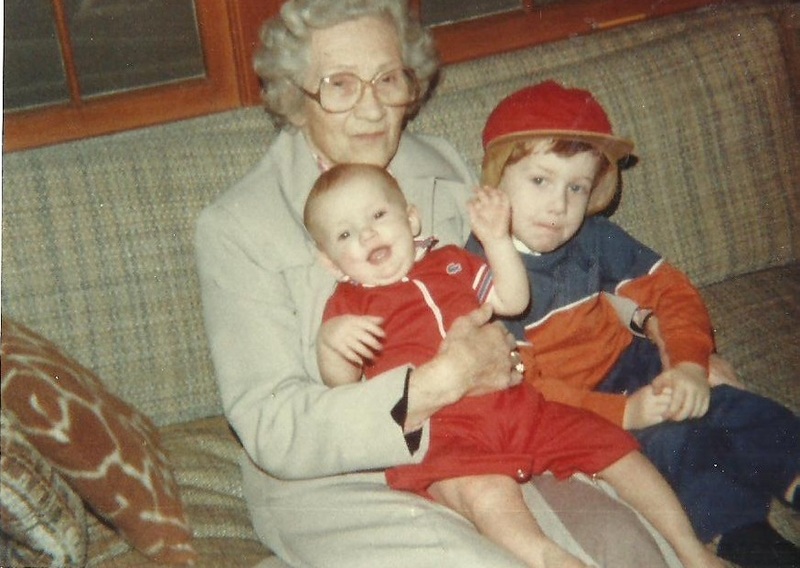 The love of learning that Grandma Myrtie placed in me at such a young age helped me realize that learning, questioning, and growing are not contrary to faith but a part of loving God with all my heart, soul, strength, and mind. Her example gave me a foundation where when I so both creation and evolution both make sense, I knew God did not require to pick between science and faith. I can use head and heart. It gave me the freedom to later realize if my science book said being gay was not a choice or a sickness, and my Bible say marriage is a gift of God and blessing to the world, I could affirm both by blessing same-gender marriages and saying hate is not a family value. Her love of family demonstrated to me an example of love and service to others I strive to walk in today. Her love of God expressed in those nightly prayers for another day to live and help her family which ended with a final prayer to go home to God leaves me with an abiding sense that in our darkest moments, God is with us. And that in our final moments we face not an end to be feared but the ultimate embrace by one whose love is as deep as Granda Myrtie’s was to all her grandchildren. 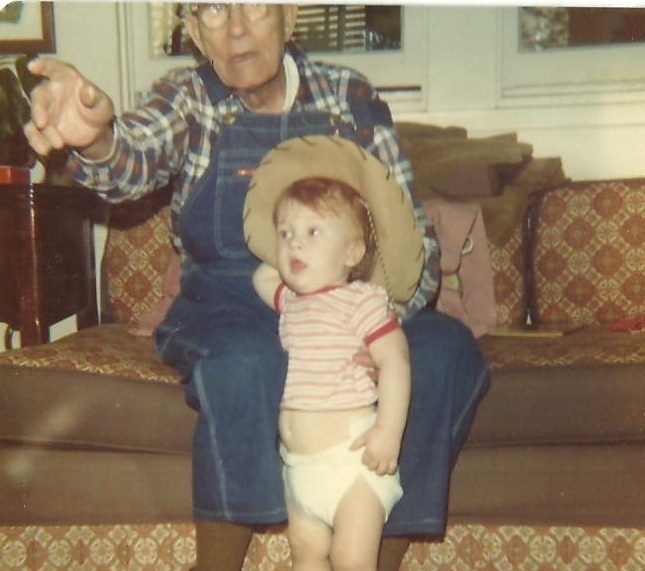 Have you, like David and me, had a southern granny that helped you find a progressive faith of your own? If so, please share it with me. In honor of Grandma Myrtie and all grandmothers out there, here is a song about the power of a grandma. Lets honor those who have gone before us, shaping us to who have gone before us. That’s another lesson Grandma Myrtie gave me. And I’m not just whistling Dixie here. So, why am I writing Progressive Redneck Preacher? I’m a long lost child of the South. When I hear the words of the following song, my heart leaps. Fishing by a Carolina fishing hole with my daddy growing up, running through Grandma Myrtie’s tobacco fields as a kid, and hiking the Appalachian trail are some of my fondest memories. Yet I also have come to see the downside to our Southern culture. We often call ourselves the Bible-belt, sometimes as if it is a compliment and sometimes like it is a problem. Usually that phrase is used not to talk about our proverbial hospitality, the joy of fishing, the refreshing sip of sweet iced tea, or momma’s sweet potato pie. It is used most often to describe why here in my home state in my childhood a couple walking in the downtown of my hometown was mugged because the man was one skin color and the woman another. We use it to explain why in so many of our churches women can’t preach, and even today too often they are told to be seen and not heard. We use it to explain why this state I am proud of, North Carolina, only a short time ago voted to write into our Consitution that gay people have to be second class citizens. For some reason the Lord led me, a southern preacher at heart, on a strange journey. He led me to serve for a number of years outside the south and to experience the Bible being preached and Christianity being lived elsewhere. What I learned is that these things we often call “the Bible” really aren’t the Bible. They are Dixie — leftovers of the culture my great-great-great-great grandaddies had back when the big dream in the south was for a white man to have a good farm, good land, and alot of slaves. And to justify putting others down like that so we white men could get ahead they started to change how they read the Bible. They justified treating Native Americans as barely human, and black men and women as property. After we fought a bloody war and lost, that sentiment behind slave-holder Christianity continued, like an infection corrupting the lovely southern hospitality, neighborliness, and church-going ways of we southerners. In a real way using the Bible to justify prejudice replaced the real song of Dixie, replacing hospitality, neighborliness, living close to the earth, and loving your family for some as the song of the south. And so now though slavery is long gone, when I was coming up I can still remember friends talking about what would happen if their daddy caught them dating a black girl or boy. I still recall the Bible sometimes being used to justify that. I still recall as a young preacher being taught why the Bible said women had a second-class status. And even now the Bible is used here in the south to justify discrimination toward gay people and hatred toward people from other cultures & faiths. The problem is not the Bible — it remains a book of freedom, the book founded on the story of the Israelites experiencing God as the one who sets the captives free. It is the song of the south we bring to it. We bring with us the expectation that it has to say that for us to be free and happy, others have to be on the outside and hurting. I think it is time we re-tune the song of the south. I think we can embrace the best of this community and our rich history, a history that includes a southern preacher named Martin standing against prejudice and sparking the civil rights movement, while abandoning the slaveholder mentality that has poisoned us. I invite you to join me in this blog, join me in discovering how to retune our song. Join me in exploring how to be progressive and southern, Christian and compassionate, welcoming of all people and Biblical. I ain’t just whistling dixie!